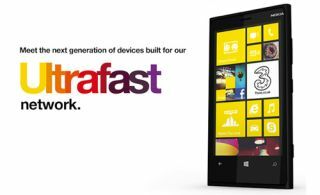 Three to offer 4G service at no extra cost | What Hi-Fi? Starting this December, mobile network operator Three will be switching on its 4G service, at no extra cost, to all customers with a 4G-ready device. January will see the process accelerate, with Three aiming to have 1.5 million customers in the position to benefit from the new, super-fast mobile broadband service. This will come after EEs move into 4G, along with Vodafone and O2's recent rollout of the service. The upgrade will be available via a software update, so you won't need to head into the store at all. This means there will be "no new contracts to sign, no need to change tariffs or swap SIMs", says Three. Three will continue to offer its All You Can Eat data as part of its voice plans. Three says that the 4G population coverage will reach 98 per cent by the end of 2015, with the hope that the network operator will be available to customers in 50 UK cities by the end of next year.